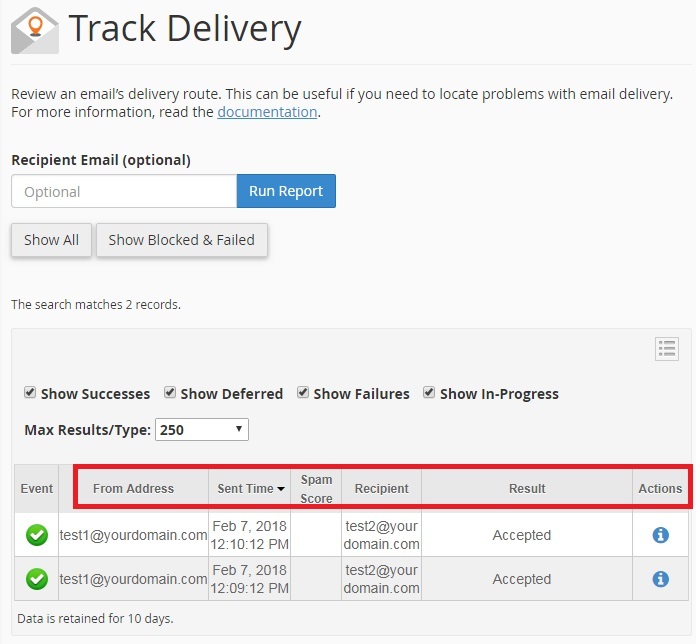 Advanhost’s customers who subscribed the SSD web hosting, SSL web hosting or SSL email hosting service, can Setup Track Delivery by following the below steps easily. 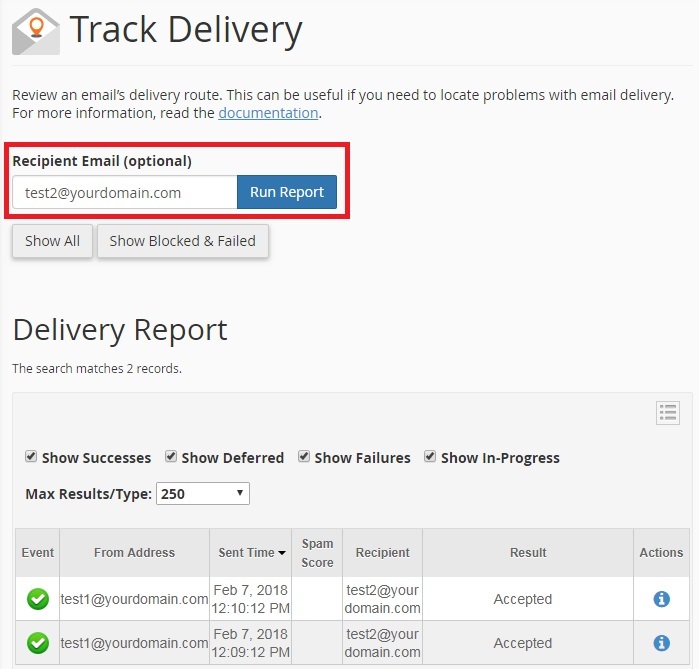 Delivery Report shows From Address, Sent Time, Spam Score(If enabled SpamAssassin), Recipient, Result, etc. *Data is retained for 10 days.